Highest Rated Dealer In Florida with a Five Star Google Review Rating and Voted #1 Best Place To Buy Your Next Ride Eight Years In A Row! Autoline Preowned is DRIVING HAPPINESS! CHANGING THE STEREOTYPE IN CAR BUYING! Autoline Preowned is a Family Owned and Operated Independent Dealer Since 2004. You can forget the stereotypical car buying experience and enjoy our no-pressure and laid-back atmosphere that will make buying your next vehicle a pleasure. Our number one goal is to make sure you leave happy whether you purchase a vehicle or not! Still Need More Reasons To Choose Autoline? - Voted #1 Best Place To Buy Your Next Car Eight Years In A Row! - We buy less than 3% of the 1000+ vehicles we research each week. - We outsell 98% of all new and used car dealerships in Florida. - Over 50% of our hand-picked inventory are One Owner Vehicles. - We Buy Cars even if you don't buy one from us in 30 mins or less. This 2019 Chevrolet Tahoe comes with a CARFAX Buyback Guarantee, which means you can buy with certainty. This Chevrolet Tahoe LT has a tough exterior complemented by a well-designed interior that offers all the comforts you crave. Enjoy the drive without worrying about directions thanks to the built-in navigation system. Your buying risks are reduced thanks to a CARFAX BuyBack Guarantee. The look is unmistakably Ram, the smooth contours and cutting-edge technology of this Ram 1500 Big Horn/Lone Star will definitely turn heads. The quintessential Ram -- This Ram 1500 Big Horn/Lone Star speaks volumes about its owner, about uncompromising individuality, a passion for driving and standards far above the ordinary. Just what you've been looking for. With quality in mind, this vehicle is the perfect addition to take home. There is no reason why you shouldn't buy this Chevrolet Silverado 1500 LD LT. It is incomparable for the price and quality. The 2019 Chevrolet exterior is finished in a breathtaking Silver Ice Metallic, while being complemented by such a gorgeous Jet Black interior. This color combination is stunning and absolutely beautiful! This is the one. Just what you've been looking for. You've found the one you've been looking for. Your dream car. Only the CARFAX Buyback Guarantee can offer you the comfort of knowing you made the right purchase. Gone are the days of SUVs being the size of a tank and handling like one. 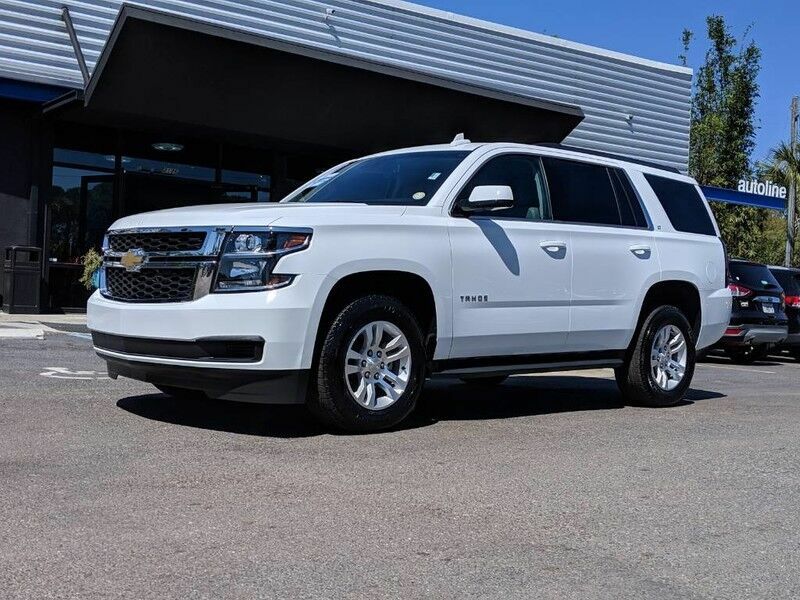 This Chevrolet Suburban is a perfect example of how SUVs have evolved into vehicles that are as refined as they are rugged. Your buying risks are reduced thanks to a CARFAX BuyBack Guarantee. This Hyundai Santa Fe SE is an incredibly versatile vehicle that is a "must have" for any family. There are many vehicles on the market but if you are looking for a vehicle that will perform as good as it looks then this Hyundai Santa Fe SE is the one! Beautiful color combination with Quartz White exterior over Black/Black interior making this the one to own! This 2019 Chevrolet Silverado 1500 LD comes with a CARFAX Buyback Guarantee, which means you can buy with certainty. Excellence, luxury and stature are just a few of the pillars this car is built upon. Simply put, this Four Wheel Drive is engineered with higher standards. Enjoy improved steering, superior acceleration, and increased stability and safety while driving this 4WD Chevrolet Silverado 1500 LD LT. You've found the one you've been looking for. Your dream car. Only the CARFAX Buyback Guarantee can offer you the comfort of knowing you made the right purchase. This SUV is a great example of beauty and brawn with classic styling and a workhorse power plant. There is no reason why you shouldn't buy this Toyota 4Runner SR5 Premium. It is incomparable for the price and quality. Beautiful color combination with Magnetic Gray Metallic exterior over Black Graphite interior making this the one to own! This 2019 Chevrolet Suburban comes with a CARFAX Buyback Guarantee, which means you can buy with certainty. The Chevrolet Suburban is the benchmark all other SUVs strive to meet. With exceptional power, towing and handling, this SUV can handle anything thrown at it. When you purchase a vehicle with the CARFAX Buyback Guarantee, you're getting what you paid for. This SUV gives you versatility, style and comfort all in one vehicle. You've found the one you've been looking for. Your dream car. You can finally stop searching... You've found the one you've been looking for. This 2019 Toyota Highlander comes with a CARFAX Buyback Guarantee, which means you can buy with certainty. This SUV is a great example of beauty and brawn with classic styling and a workhorse power plant. Beautiful color combination with Midnight Black Metallic exterior over Almond interior making this the one to own! This is the one. Just what you've been looking for. How to protect your purchase? CARFAX BuyBack Guarantee got you covered. For those who are ready to drive something more than just a car, this Ford Super Duty F-250 SRW XLT will appeal to their idea of luxury and refinement. At home in the country and in the city, this 2018 4WD Ford Super Duty F-250 SRW XLT has been wonderfully refined to handle any occasion. Smooth steering, superior acceleration and a supple ride are just a few of its qualities. The 2018 Ford exterior is finished in a breathtaking Oxford White, while being complemented by such a gorgeous Medium Earth Gray interior. This color combination is stunning and absolutely beautiful! Your buying risks are reduced thanks to a CARFAX BuyBack Guarantee. This wonderfully fuel-efficient vehicle offers a supple ride, quick acceleration and superior styling without sacrificing MPGs. You could keep looking, but why? You've found the perfect vehicle right here. Driven by many, but adored by more, the Nissan Versa Sedan SV is a perfect addition to any home. This vehicle is loaded with great features, plus it comes with the CARFAX BuyBack Guarantee. Opulent refinements married with exceptional engineering make this the kind of car you'll want to own for a lifetime. The Ford F-150 LARIAT will provide you with everything you have always wanted in a car -- Quality, Reliability, and Character. You could keep looking, but why? You've found the perfect vehicle right here. How to protect your purchase? CARFAX BuyBack Guarantee got you covered. With this exceptional SUV, you'll get "sport," "utility," and comfort. Simply put, this all wheel drive vehicle is engineered with higher standards. Enjoy improved steering, superior acceleration, and increased stability and safety while driving this AWD MazdaCX-5 Grand Touring. The quintessential Mazda -- This Mazda CX-5 Grand Touring speaks volumes about its owner, about uncompromising individuality, a passion for driving and standards far above the ordinary. CARFAX BuyBack Guarantee is reassurance that any major issues with this vehicle will show on CARFAX report. There is no reason why you shouldn't buy this Nissan Maxima SL. It is incomparable for the price and quality. Just what you've been looking for. With quality in mind, this vehicle is the perfect addition to take home. A truly breathtaking example of pure vehicle design achievement...this is the vehicle of your dreams! This 2018 Ford F-150 comes with a CARFAX Buyback Guarantee, which means you can buy with certainty. Is it possible to fall in love with a vehicle? It is when your vehicle is as prestige as the Ford F-150. Taking the road less traveled has never been more fun than with this 4WD. With improved performance, mileage and acceleration, this 2018 4WD Ford F-150 XLT is king of the off-road. You've found the one you've been looking for. Your dream car. Your buying risks are reduced thanks to a CARFAX BuyBack Guarantee. This SUV is a superb example of what a tough, work focused vehicle should be. Exceptional towing, acceleration and torque will help you get the job done. Outstanding craftsmanship and artisanal refinements abound with this Nissan Armada SV. Few vehicles can match the safety and comfort of this AWD Nissan Armada SV. With enhanced performance, refined interior and exceptional fuel efficiency, this AWD Nissan is in a class of its own. Find the quickest driving route in this Nissan Armada SV using the installed navigation system. This nav system is one of the easiest to use and will help get you where you need to go quickly! Drive home in your new pre-owned vehicle with the knowledge you're fully backed by the CARFAX Buyback Guarantee. You appreciate the finer things in life, the vehicle you drive should not be the exception. Style, performance, sophistication is in a class of its own with this stunning Ford F-150. Tackle any terrain with this 4WD Ford F-150 XLT. Off the road or on the parkway, you'll drive with confidence no matter the weather conditions or landscape. There are many vehicles on the market but if you are looking for a vehicle that will perform as good as it looks then this Ford F-150 XLT is the one! Drive home in your new pre-owned vehicle with the knowledge you're fully backed by the CARFAX Buyback Guarantee. Just what you've been looking for. With quality in mind, this vehicle is the perfect addition to take home. Based on the superb condition of this vehicle, along with the options and color, this Chevrolet Impala Premier is sure to sell fast. The quintessential Chevrolet -- This Chevrolet Impala Premier speaks volumes about its owner, about uncompromising individuality, a passion for driving and standards far above the ordinary. Driven by many, but adored by more, the Chevrolet Silverado 1500 LT is a perfect addition to any home. You could keep looking, but why? You've found the perfect vehicle right here. There is no reason why you shouldn't buy this Chevrolet Silverado 1500 LT. It is incomparable for the price and quality. The Chevrolet Silverado 1500 LT will provide you with everything you have always wanted in a car -- Quality, Reliability, and Character.